We’ve already seen Charles Leclerc giving a sneak preview of F1 2018, and a few days ago Codemasters also revealed the first two classic cars that will feature in the game. 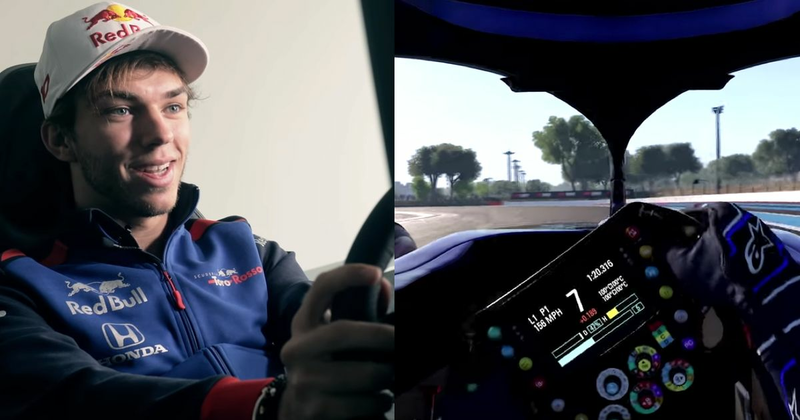 Now we’ve got even more gameplay footage courtesy of the three French F1 drivers (and Sainz) all testing out the game on the Paul Ricard circuit. As well as talking what it means to be racing in front of their home crowd, they also chat about some of the new features of F1 2018 - such as the ability to control the ERS, and how the updated handling model feels. As you can see from the onboard footage, the Halo is right there in your face - and why shouldn’t it be? However, if it’s a bit too distracting, Codemasters has confirmed that there will be an option to disable the central strut, making it a bit easier to see when using cockpit view. Phew!